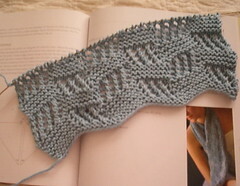 Debbie Bliss Moss Stitch and Cable Jacket (from book #3). That's one of my favorite patterns from "Scarf Style". It's a fun knit -- enjoy!